SQB is a network of the state of Brandenburg, which aims at ensure the quality of university studies. 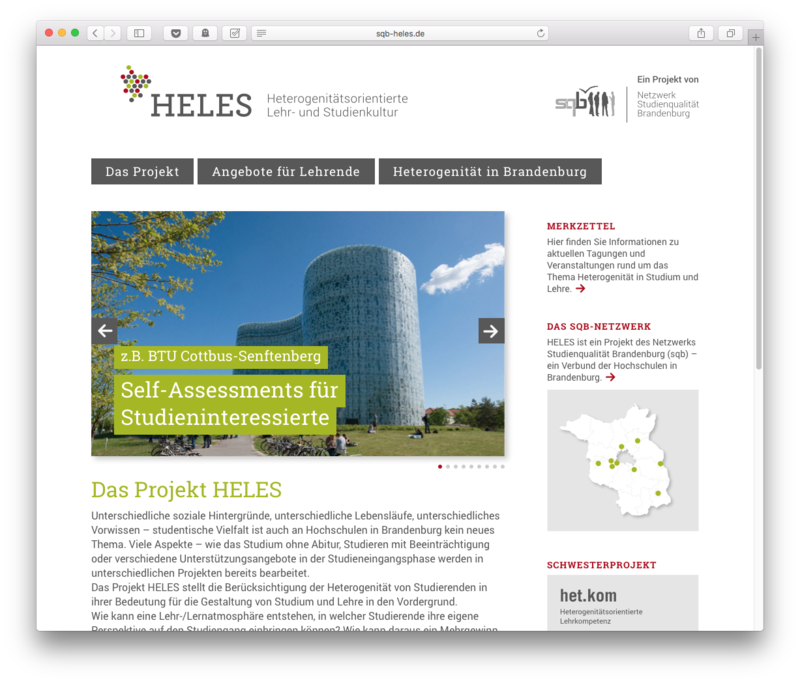 4S Design designed a website for one of their projects - Heles. 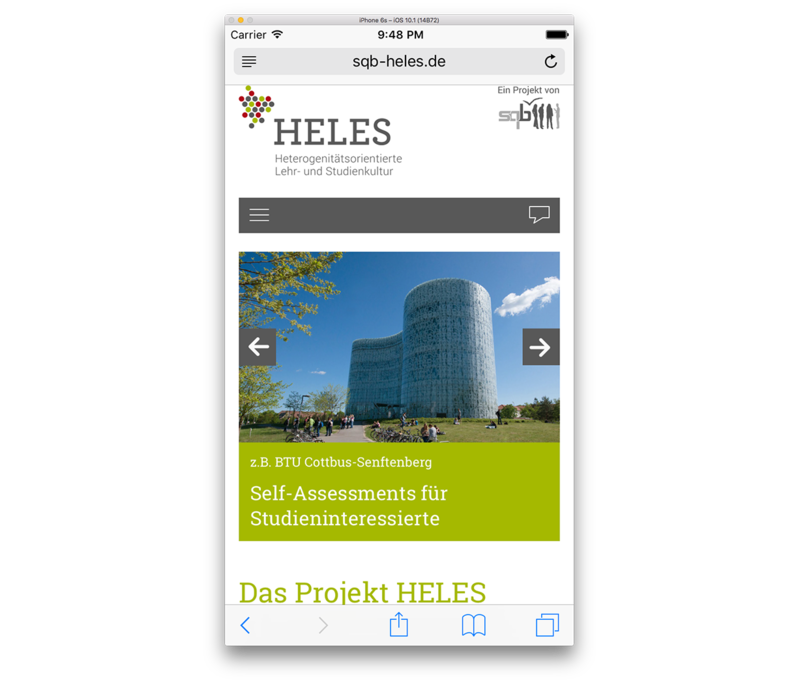 The site provides information and various materials about the background, goals and topics as well as offers and activities of the project. 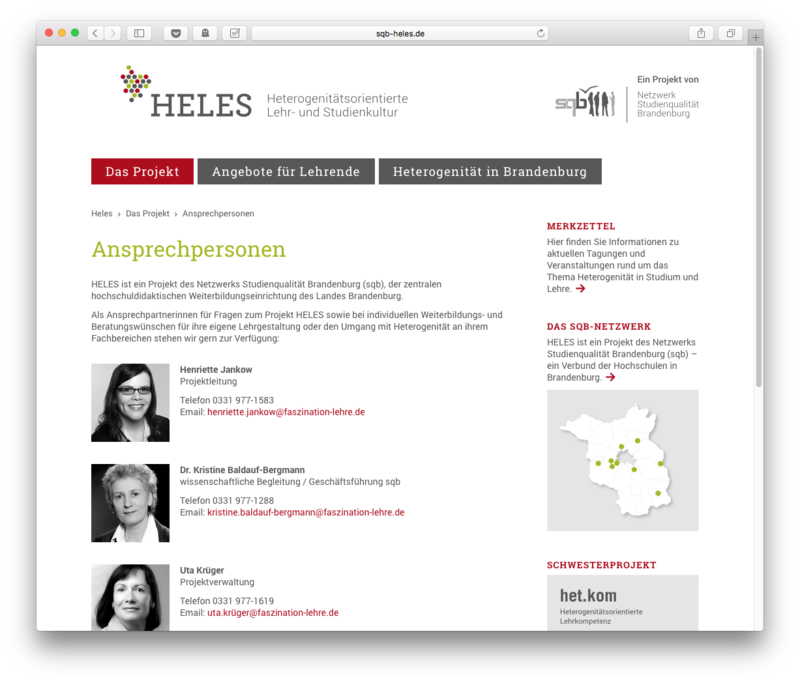 The website is built on Wordpress including an individual custom theme and various plugins. 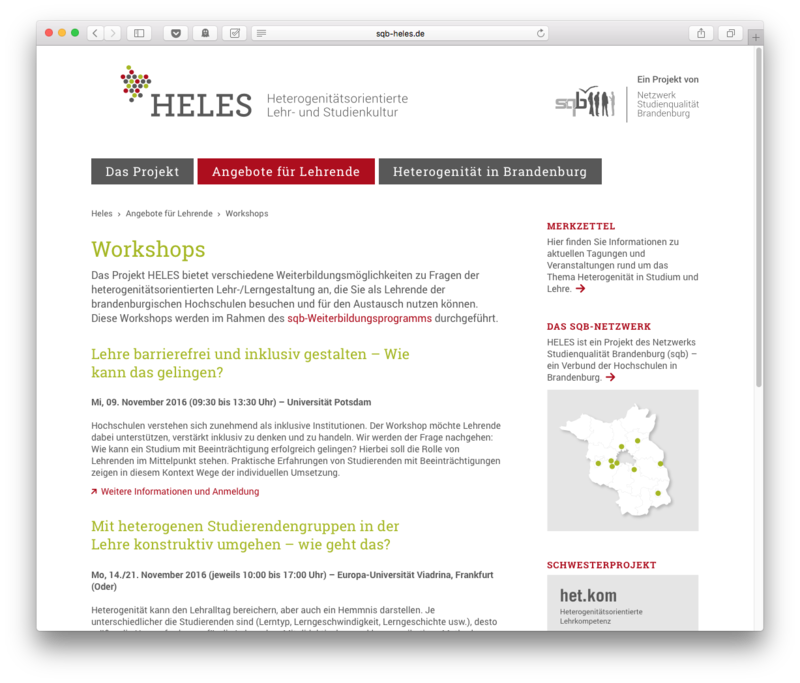 I'm currently working on the second part of the network - the website for the Hetkom Project.